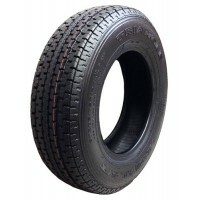 ST 205/75R14 C6 TRIANGLE RADIAL Trailer Tire Long lasting durable tire, specifically made for trailers. 1760 lbs. @ 50 PSI ..
10" x 2.25" LEFT HAND ELECTRIC TRAILER BRAKE AXLETEK Premium Quality Approved CSA Standard CAN3-D313-M85 for trailer running gear Green Wire ..
3500 lb. SINGLE STRAIGHT TRAILER AXLE Idler Hubs 5 bolt on 4.5" bolt circleU-bolts/nuts and tie plates includedBuilt to your: Spring Center, Hub Face,..
Engager™ HD Break Away Kit HOPKINS (20100) Change the way you protect your trailer investment with the Engager break-away syste..
9" WIDE 32" x 16" - SINGLE TRAILER FENDER -14" TIRE SQUARE BACK 16ga STEEL ..
Black plastic trailer fender High density polyethylene (HDPE) fenders. Injection molded. ..
Titan Brake Actuator7000 lb. 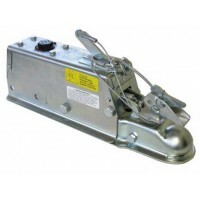 trailer brake actuator MODEL 60 ZINC LEVER LOCK 2" BALL Model 60 Parts List Instruction Manual.. 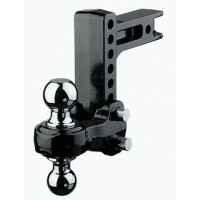 Manufactured in our facility in Ontario Canada, specific to the dimensions of your trailer. We can help you with replacing your trailer's spring or torsion axle and offer same day axle service for rush orders. 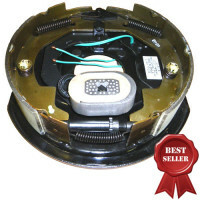 We sell wholesale to OEMs and dealers across Canada. Retail customers are welcome to place orders online or at or parts counter, located in Milton, Ontario. We carry a wide selection of parts and accessories for all your needs. Talk to our knowledgeable staff and benefit from their years of experience in the trailer business. Manufacturing and distributor of trailer parts for over 45 years. Various sizes of trailer rated tires from brands like Goodyear, Triangle, Kenda, Carlisle and many more. Rims / Wheels designed specifically for trailer use, sold separately or with your tires mounted. Spare tire brackets and mounts. Quality Dexter, Alko and Axletek bands. Whether electric or hydraulic brakes we have entire backing plate brake assemblies, brake shoes, brake magnets, cylinders and parts. Kodiak, Tiedown and Titan trailer disk brake kits and replacement parts. Also the brake drums to match your trailer braking system. 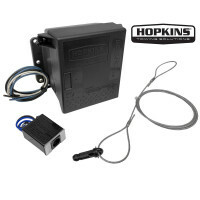 Electric trailer brake controllers and breakaway kits. 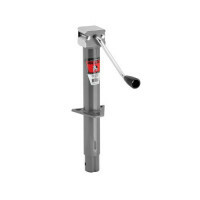 Hydraulic tongue actuators and brake line kits all under one roof. We've selected trailer light manufacturers known for quality and reliability such as Optronics, Bargman and Peterson. Traditional incandescent, LED trailer lighting and new Glow lights. We carry wiring from single conductor to complete trailer wiring harnesses and all the connectors, plugs and brackets for repairing or manufacturing trailers. Troubleshooting your trailer's lights and brakes can be the most time consuming and frustrating task. Protect your trailer's electrical wiring system against moisture, corrosion and failure. Insist on an electrical harness system built to withstand the most extreme environmental conditions. 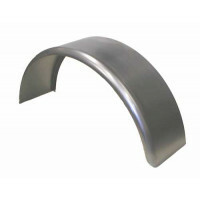 Since we sell to OEM / Manufacturers, so we carry single, tandem, triple axle fenders and skirts. Steel, checker plate, aluminum and plastic fenders. Whatever you need to repair damaged fenders or design a new trailer. Ordering is simple and easy. Call or order through our online store and you can either pickup at our our location or we ship across Canada. Check out our online troubleshooting help, "how to" information and videos. See bottom under Extras. Manufacturing for over 40 years.